What is Cocrystal Pharma, Inc.'s stock symbol? Our stock is traded on the NASDAQ under the symbol COCP. Can I buy stock directly from Cocrystal Pharma, Inc.? How can I buy stock in Cocrystal Pharma, Inc.? Through a licensed stockbroker or by using an online trading account. 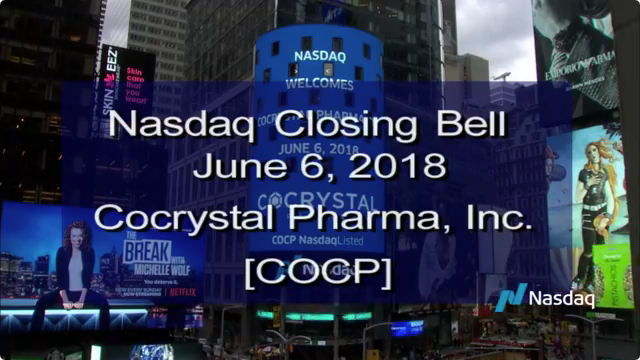 Where is Cocrystal Pharma, Inc. located? Cocrystal Pharma, Inc. is headquartered near Atlanta, Georgia at 1860 Montreal Road Tucker, Georgia with research and support facilities in Bothell, Washington. When is Cocrystal Pharma, Inc.'s fiscal year end? Who is Cocrystal Pharma, Inc.'s transfer agent? Who are Cocrystal Pharma, Inc.'s independent auditors? Who can I contact for general information about Cocrystal Pharma, Inc.?